If you’ve visited Vermont in the fall, you will know that much of the beautiful color you see in the foliage is due to the large number of sugar maples throughout the state. In late winter/early spring, those same trees create a different kind of magic. Sugar, made during the summer by the tree’s leaves, is stored within the roots all winter as starch. Come warmer temperatures, the trees turn the stored starch back to sugar which then becomes the sap that is collected from the trees. 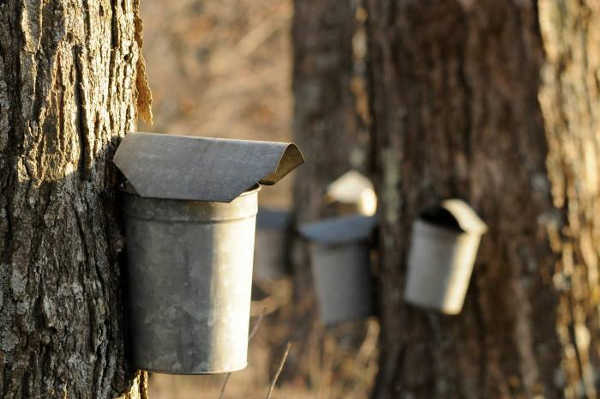 It takes 40 gallons of sap to make each gallon of sweet, wonderful maple syrup. The whole process is so fascinating that Vermont maple producers have devoted an entire weekend to sharing the mystery with you. Mark your calendar for March 24-25 for Maple Open House Weekend. 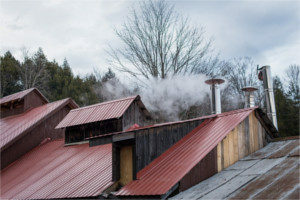 Visit maple producers for activities including tours of the woods to understand the collection process to the explanation of what happens at the sugar house to sampling of traditional sweet maple treats such as maple donuts, sugar on snow, and maple creemees. 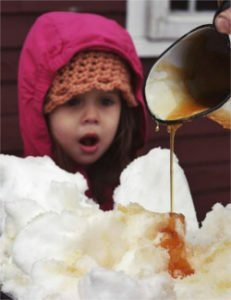 Other festivities might include horse drawn sleigh rides, special meals featuring maple syrup at nearby partner restaurants, and other uniquely maple experiences. Check with participant producers for more details. 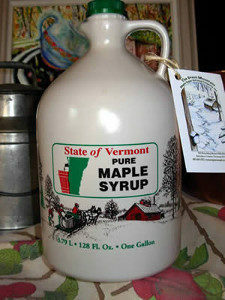 If that’s not enough maple for you, head to St. Albans on April 27-29 for the 52nd Vermont Maple Festival! You’ll find something for everyone including plenty of activities just for the kids. There will lots of adult entertainment as well including an antiques show, adult beverage tastings with a maple theme, live entertainment, and more. For complete details, check the festival website. This entry was posted in Activities, Eat & Drink, Food, Now Trending, Play, Things To Do, Uncategorized on March 5, 2018 by Linda Warner. Maple Shortbread Cookies … A Delicious Vermont Treat Sugaring Season in Vermont Maple Syrup Is Good For You! Hot Chocolate and Maple Syrup!